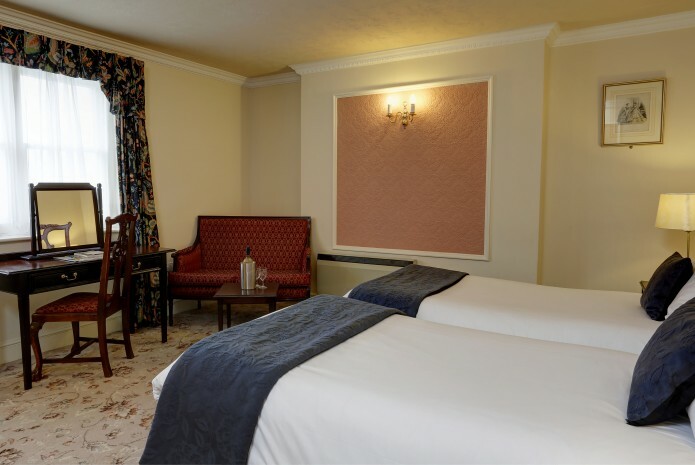 At the Royal Victoria Hotel, no two rooms are the same! 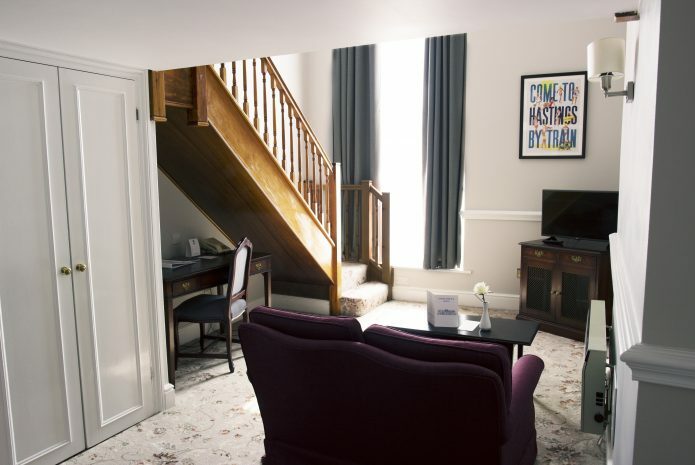 We have 50 unique en-suite rooms, tastefully decorated to suit the hotel’s period features, and they fall into the four categories below. Many are currently undergoing refurbishment so we hope you like them! By contacting our reservations team on 01424 445544 you can be sure to get the best room and rate available. 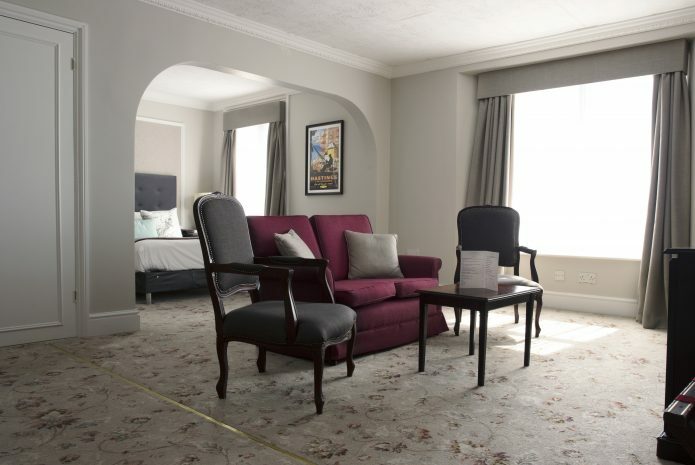 Our grandest and most spacious room type, featuring a master bedroom with double or king-size bed as well as a larger en-suite bathroom and separate lounge area with TV. Please find included facilities at the bottom of the page. A spacious room with a standard double or king-size bed, that allows you to relax and unwind. 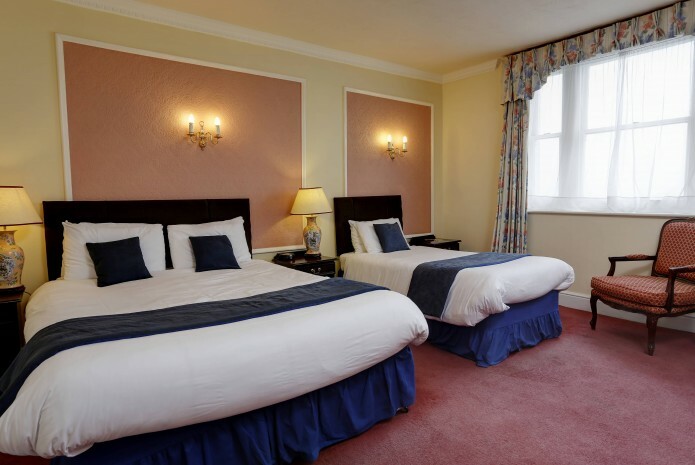 Close to Hastings' beaches and Town Centre, each deluxe double room comes with everything you'd expect from a comfortable, traditional 3-star hotel. A large room with one double and one or two single beds. In most cases the single bed(s) are contained within a separate annexe. Perfect for the family or a group of friends, these rooms are ideal for holiday getaways or one-off visits to the area. A list of included facilities can be found below. A room with 2 single beds or standard double offering a comfortable stay on the Hastings seafront. Each room is tastefully decorated with furniture that compliments the building's history, and arranged for practical use. Facilities included with the room can be found below.